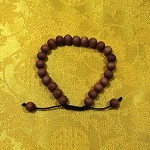 This dark rosewood-like mala is strung on a sturdy red string and crowned with final guru bead and knot. Bead size is approx. 5 mm. 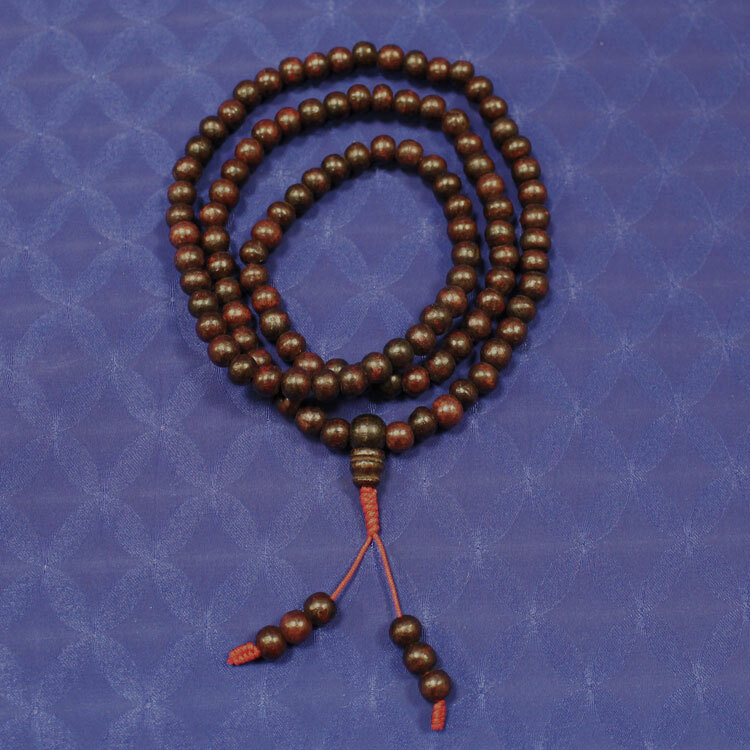 Note: Beads may be uneven on some malas as they are made out of wood.